Easterseals is the leading nonprofit serving the one in four Americans living with disabilities today. The national organization celebrates its 100th anniversary on Monday, April 22, 2019. To commemorate Easterseals’ centennial, the Financial Center in Des Moines (666 Walnut) and the Altoona Water Tower will illuminate orange on the evening of April 21. 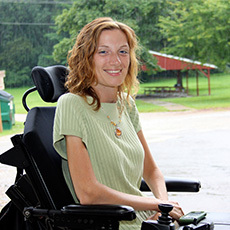 Easterseals is the largest nonprofit healthcare organization in the United States, delivering services to and supporting more than 1.5 million people annually through a national network of 70 community-based affiliates, including Easterseals Iowa. Des Moines and Altoona are joining cities across the nation to light up landmarks from the Los Angeles International Airport to the Helmsley Building in New York, as well as Niagara Falls!